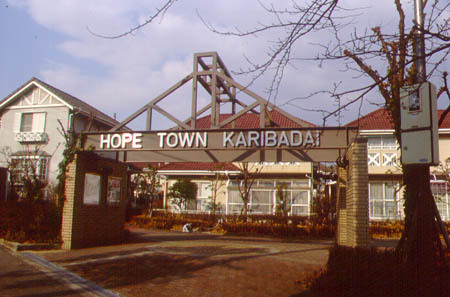 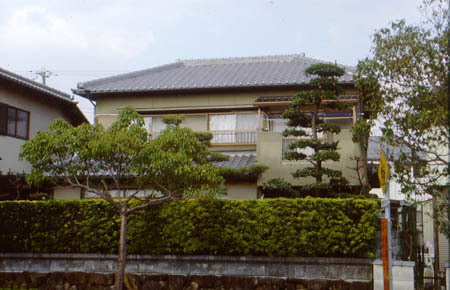 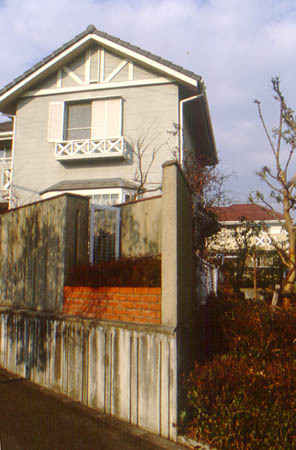 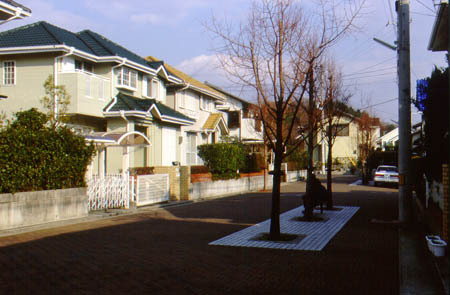 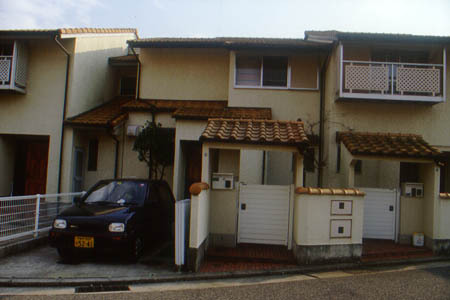 HOPE Town Karibadai is a detached town house site which is located at a New Town in Kobe City, Hyogo Prefecture, Japan. 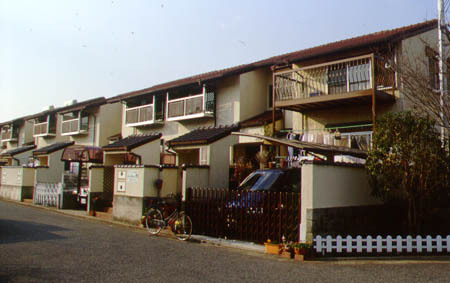 It was developed in 1987. 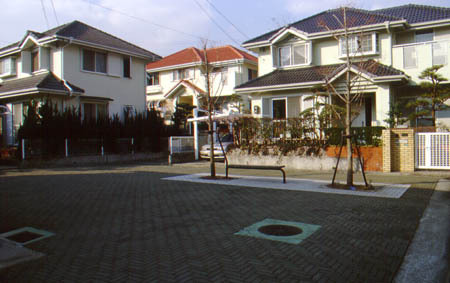 It has a development area of 21,072.66m2, and 95 house units. 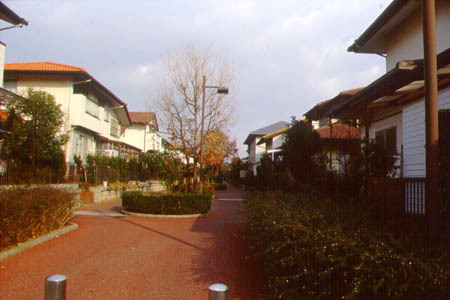 To meet growing wider needs flexibly, there are diverse house types, for normal families, for the families with the elderly, and for the families supporting the elderly at the next-door. 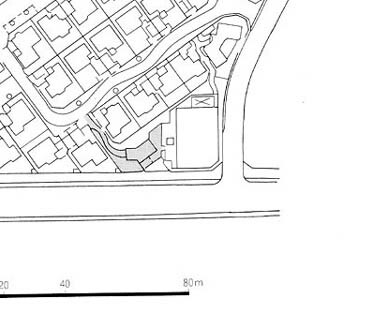 The floor area of the unit house ranges from 93.56 to 129.75m2. 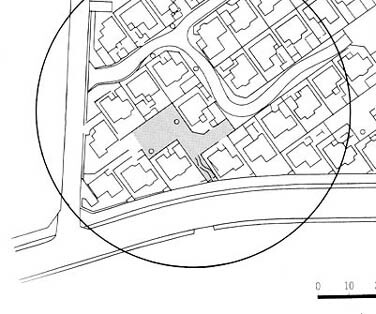 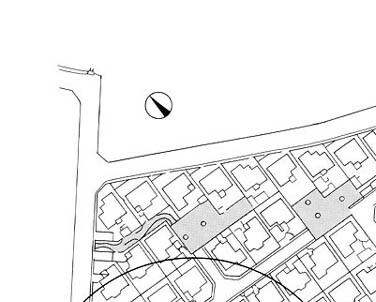 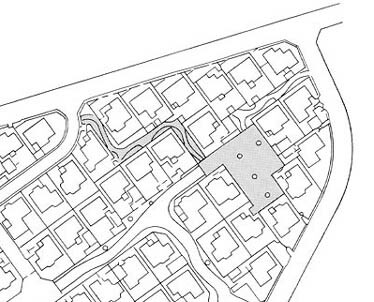 The site has many parcels of open space with different characters which are linked by road system. 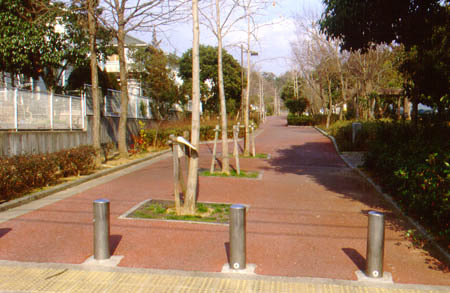 There are two types of roads, only for pedestrian and for both pedestrian and vehicles like the Dutch woonerf, both of which have interesting design in pavement and planting. 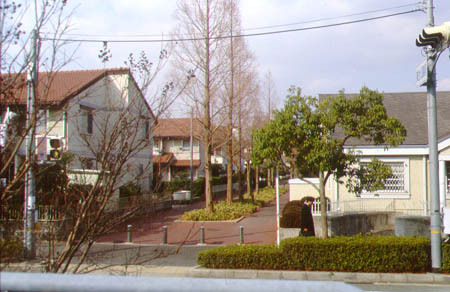 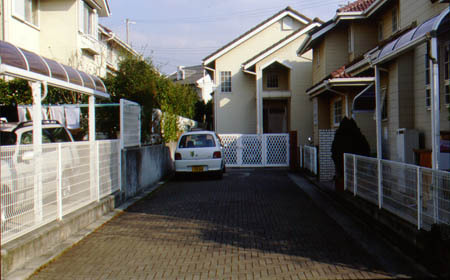 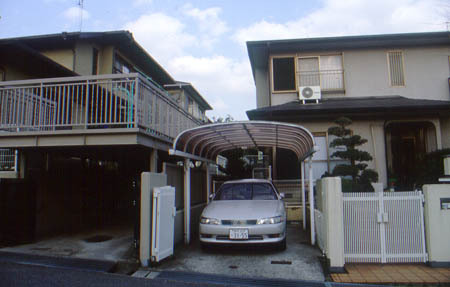 Roads pass between every two rows of lots, and it allows every house to face south and has a private parking. 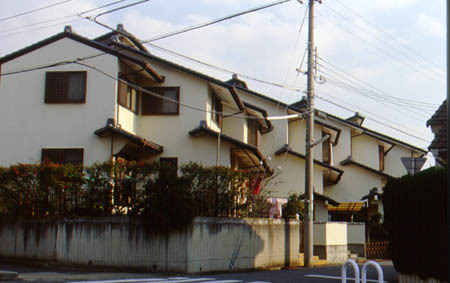 The site has the sense of unity by means of exterior wall design which uses half timber or wood panel siding. 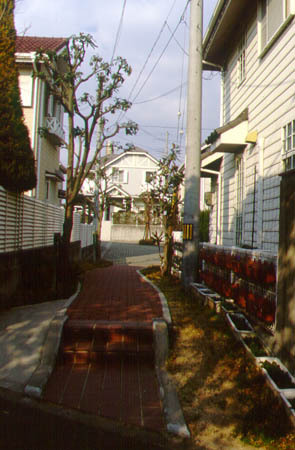 Click the photos to see larger images!